Romania has decided to return its coat of arms to the design it had before the rise of Communism, namely while Romania was a monarchy. The new coat of arms sees an eagle wearing a crown, similar to the coat of arms the country had between 1922 and 1947. 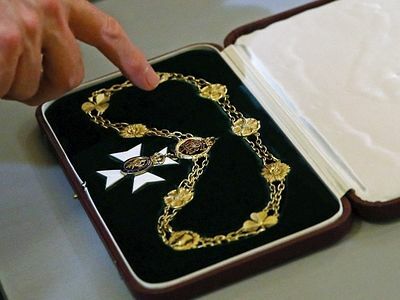 President Klaus Iohannis recently promulgated the law that changes the coat of arms. All public authorities should replace the existing emblems and seals to those provided by the new law by December 31, 2018, the year when Romania will mark the centenary of the Union of Transylvania with Romania on December 1, 1918. The project was initiated by MPs from the National Liberal Party PNL, the Social Democratic Party PSD, and the Alliance of Liberals and Democrats ALDE, and was adopted by the Chamber of Deputies on June 8. The coat of arms of the Kingdom of Romania (1922-1947) inspired the new model. As the queen’s heart, escorted by two soldiers, went by, members of the crowd waved flags. 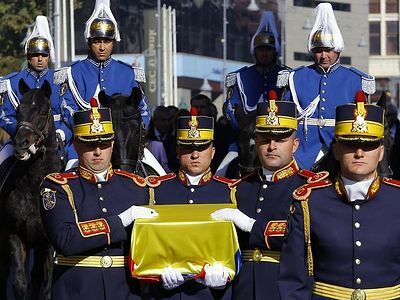 The national anthems of Romania and Britain were played, while eight officers on horseback escorted the silver box, wrapped in a Romanian flag, to a waiting car. The heart was then driven 80 miles to its new — and it seems final — resting place.